Readers, as well as my chocolate obsession, I also love peanut butter AND combining it with chocolate. I love Reece’s peanut butter cups. Usually I’m not a huge fan of American chocolate but somehow, Reece’s peanut butter cups just work. 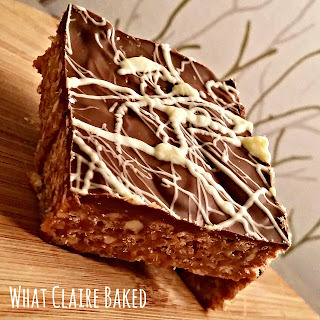 I know my readers love a traybake recipe, so I’ve tried to create a Reece’s inspired traybake this week. Again, this is super easy to make and the kids can get involved too. 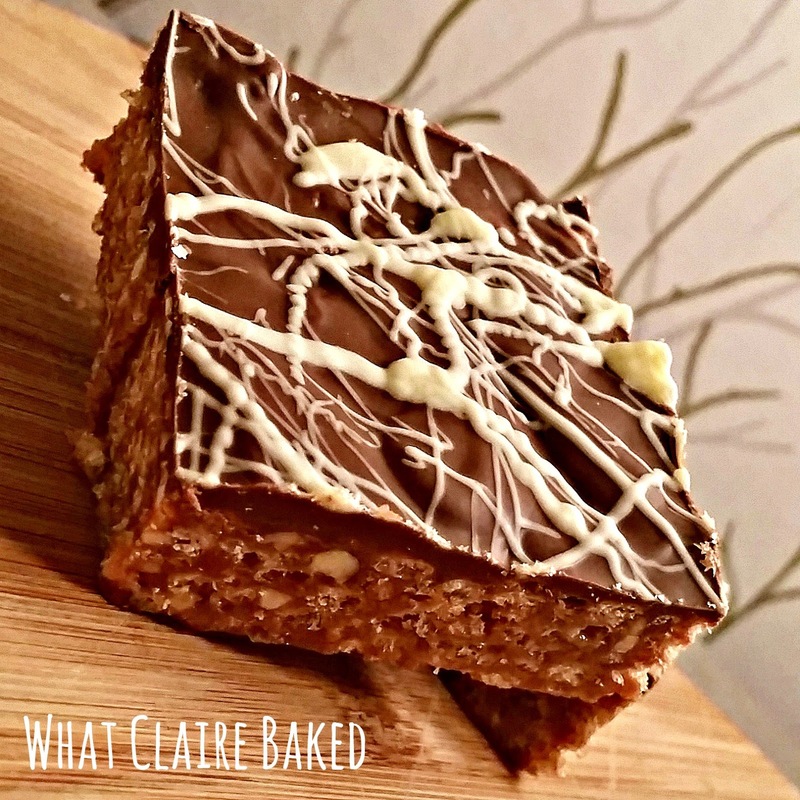 The peanut butter and chocolate works well together and this recipe got a big thumbs up from the taste panel in the family. Enjoy! Line an 8x8in silicone baking tin with parchment paper. Melt the milk chocolate, crunchy peanut butter, golden syrup and butter in a pan over a low heat. 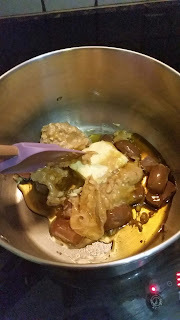 Stir until all ingredients have melted and blended together. Remove pan from heat. 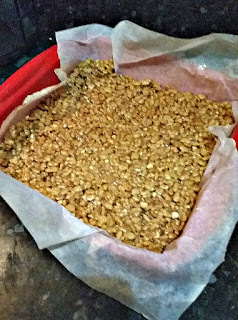 Add the puffed rice cereal to the pan and stir until combined. The cereal should be lightly coated – add more cereal if necessary. Transfer the mix to the lined tin and smooth into the tin until flat and pushed into the corners. Refrigerate for around an hour until the mix has set. Once set, melt the 35% milk chocolate in a microwave proof glass bowl for 60 seconds. If required, stir and melt for another 30 seconds until smooth. 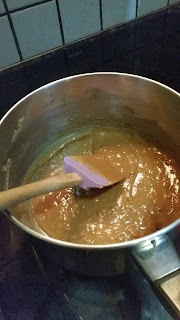 Pour the chocolate over the set mixture and smooth with a spatula. Return to the fridge for 20 minutes. Melt the milky bar in a cup and drizzle over the topping, using a teaspoon. Return to the fridge until set. Remove from the fridge, allow to return to room temperature, then cut into 9 squares.